This event is organised by Association des Amis de Franck Biancheri in partnership with AEGEE-Paris. 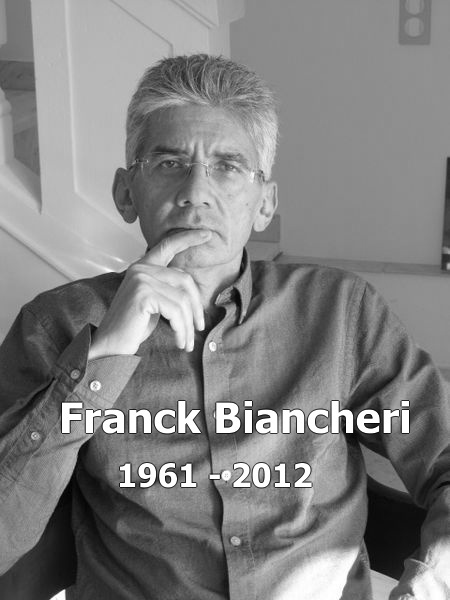 Association des Amis de Franck Biancheri was created by his friends and road-companions two years ago in the aftermath of Mr Biancheri’s passing away on October 30th, 2012, at the age of 51. What Biancheri learnt from this experience was that Europe would go nowhere without its citizens and that EU democratisation was needed not only for moral reasons but for technical reasons of basic efficiency. Then on, he fought this fight by every means he could think of, ranging from citizen organisations (Prometheus-Europe), trans-European political parties (IDE, Newropeans), think-tanks (Europe 2020, LEAP), trans-continental projects (NICE, CICIS, NICOMED, NICOLAM, GlobalEurope, etc…), methodological tools (political anticipation, IRPA),training organisations (FEFAP), publishing houses (Anticipolis), networking, congresses, elections, marathons, articles, magazines, books, events and projects of all sorts… all following one red line : the empowerment of Europe through its citizens, i.e. EU democratisation. In 2006, in a newly launched publication called GEAB (GlobalEurope Anticipation Bulletin), Biancheri started anticipating the crisis we are in now, which he saw as both a major threat bearing on the world but also as THE opportunity to finally realize this essential necessity to reinvent European governance along democratic principles, i.e. through trans-European political parties, trans-European election, trans-European political debate, trans-European media, etc… likely to involve trans-European citizens in trans-European decision-making processes (a biography of Franck Biancheri is available here). The euro crisis has revealed the relevence of Biancheri’s work which appears today as a major source of inspiration in solving the crisis. Association des Amis de Franck gathers twice a year (in March and November) into increasingly important events combined with growingly successful public conferences. 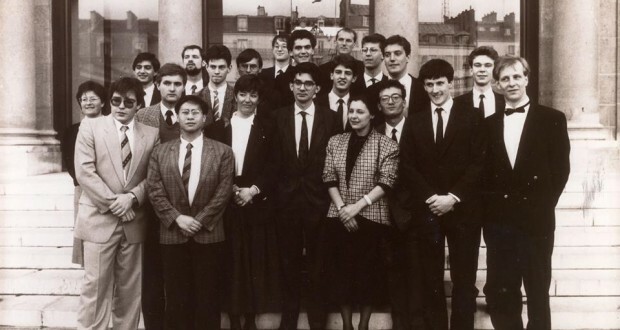 This next March, AAFB wishes to celebrate the 30th anniversary of the creation of AEGEE-Europe. It has therefore established a partnership with AEGEE-Paris, where everything started 30 years ago, and organises this March 8th event. Two hundred people will meet, both students from the European network of AEGEE and friends and followers from the Franck Biancheri Networks (Facebook page dedicated to the event).
. and the potential of solution to this crisis provided by the ERASMUS generations. Indeed for 28 years now, the ERASMUS programme has been producing hundreds of thousands of Europeans professionals and citizens today spread throughout the entire scope of our civil society, including at increasingly high levels. 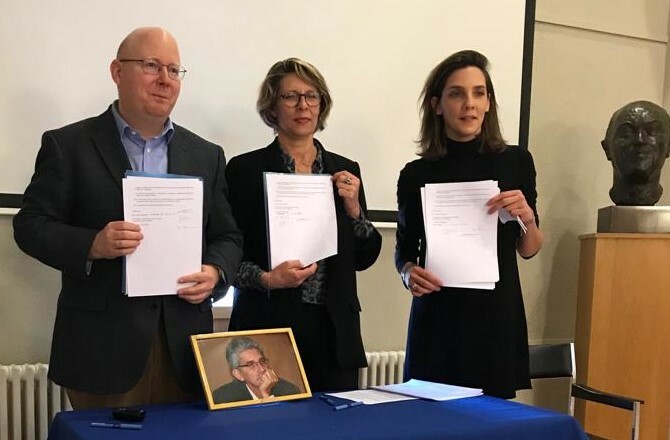 This provides the conditions for the realisation of a convergence of interests among the actors of European construction : students, citizens, politicians, civil servants, journalists, entrepreneurs, etc… whom wil will invite to sceal a Democratic Alliance on March 8th. Practically speaking, the event consist of a 5-hour plenary session mixing keynote speeches, students’ reporting from workshops help on the previous day, and debates on a list of identified “chantiers” for Europe to be triggered as a matter of emergency: Europe of energy, Europe of industry, Europe of jobs, fiscal Europe, social Europe, Europe of the media, Common Defence Europe, Europe of the euro, political Europe. More information on the 5th Meeting of Franck Biancheri’s friends.